Indigo Envelope’s Vintage Durham note cards are now on sale at Parker and Otis, a unique gift shop and restaurant in downtown Durham. It’s located at 112 South Duke Street — come and buy a pack or two; they make great gifts! 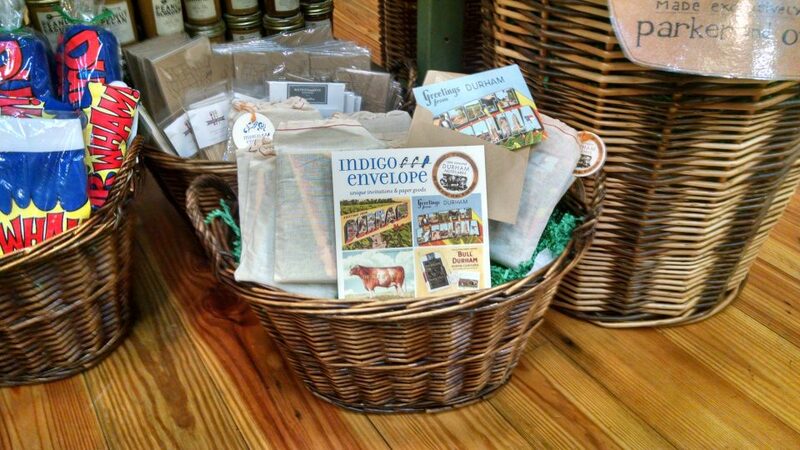 Our cards are located with the North Carolina goods, in a basket on the floor. Our Vintage Durham Notecards at Parker and Otis in downtown Durham, NC.